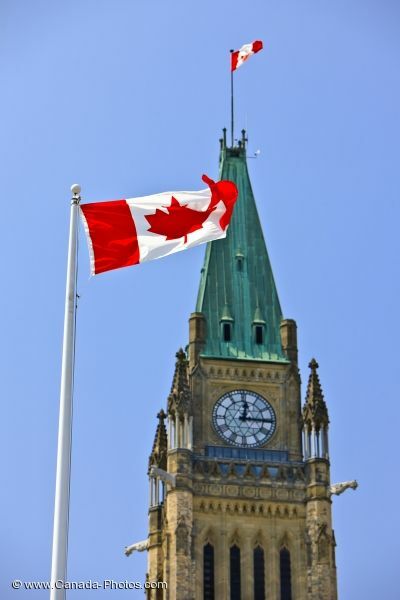 The Canadian flag with its bright red maple leaf flies in front of Government Peace Tower in the city of Ottawa. The tall Gothic style tower has a clock on the front. Another Canadian flag flies at the peak of the tower. The copper roof of Peace Tower has turned green from the elements.